PRUEBAS DE UN NUEVO AUTOMOVIL INGLES ANTE SM EL REY DON ALFONSO XIII. INVENTADO POR EL SEÑOR HOLLE, FUE PUESTO EN PRACTICA, POR PRIMERA VEZ, POR LAS CASAS ITALIANAS 'ALFA ROMEO' Y 'BREDA', DE MILAN. SM EL REY DE ESPAÑA ASISTE A LAS PRUEBAS CELEBRADAS POR LA SOCIEDAD HOLVERTA, EN EL PARDO. TITULOS (011). 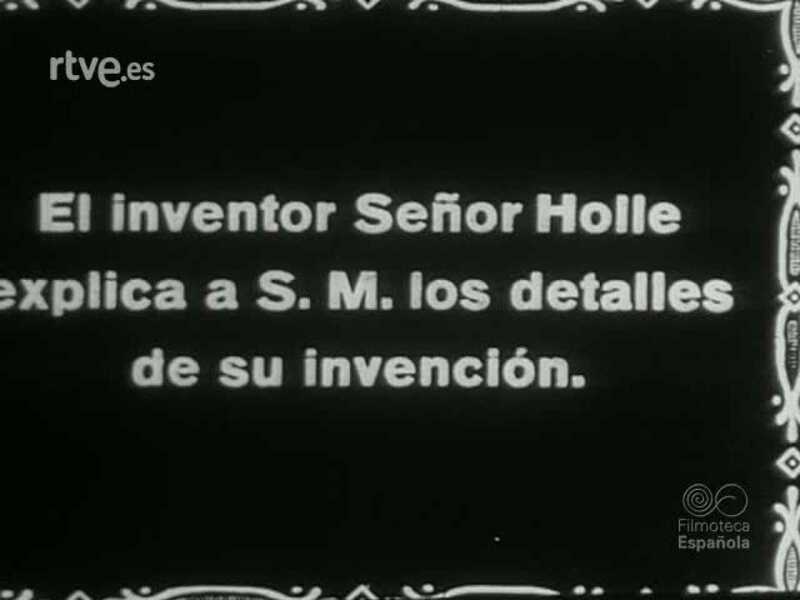 EL INVENTOR, SEÑOR HOLLE, EXPLICA A SM LOS DETALLES DE SU INVENCION (066). EL INGENIERO, SEÑOR VENTIMIGLIA, ENSEÑA AL REY LOS PLANOS DE LOS DIFERENTES TIPOS DE CONSTRUCCION, EN ITALIA (083). SM ACOMPAÑADO DEL INVENTOR REALIZA ALGUNA DE LAS PRUEBAS (095). OTROS INVITADOS HACEN PRUEBAS DEL TURISMO 'TODO TERRENO' (190). EL REY CONVERSA CON EL INVENTOR. PRUEBAS DE AMORTIGUACION (244). EL REY SE DESPIDE DE LOS ASISTENTES A LA PRUEBA. FIN (264).